The Agronomic IQ Series is purpose-built for dehumidification in grow rooms and is the smartest, most advanced, temperature, humidity and environment control equipment in the world.. In our 42-year history with over 80,000 installations, we’ve learned a thing or two about dehumidification. 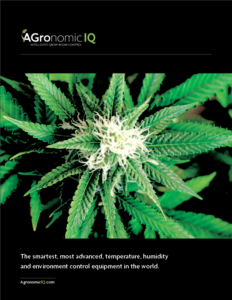 Leveraging experience from our industry-leading PoolPak, Dectron and Seresco brands, we created the Agronomic IQ series specifically to meet the demands of grow room environment control — and to do it with exceptional precision, reliability and unparalleled product features — not to mention a new patent-pending technology. Our large-scale manufacturing advantage allows us to provide premium components, proven quality control and a truly superior product at the most competitive prices. We also back all of our equipment with exceptional warranties and the largest factory-direct service team in the industry to provide outstanding customer and product support that no other competitor can. 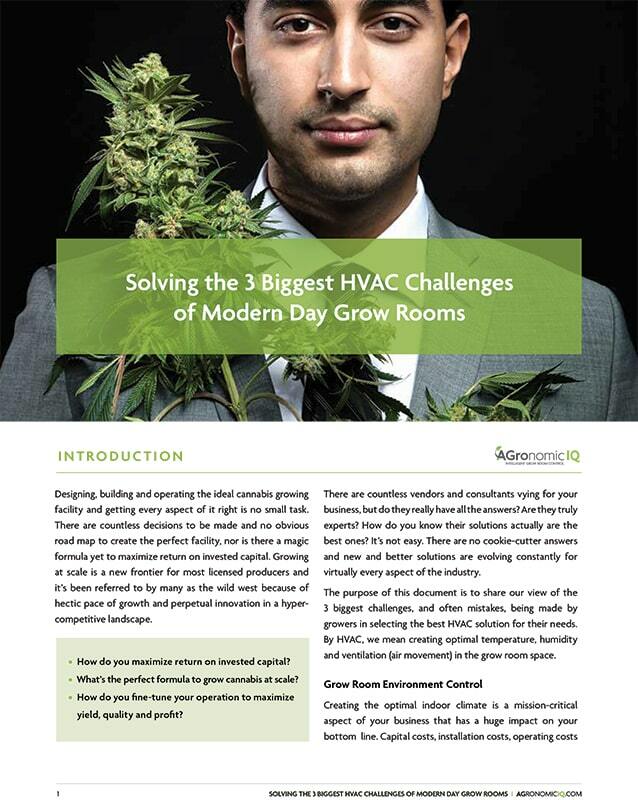 Download to discover the 3 biggest challenges of modern day grow rooms (and often mistakes being made by growers) in selecting the best HVAC solution. Learn more about Agronomic IQ’s range of solutions suitable for grow rooms of any size.